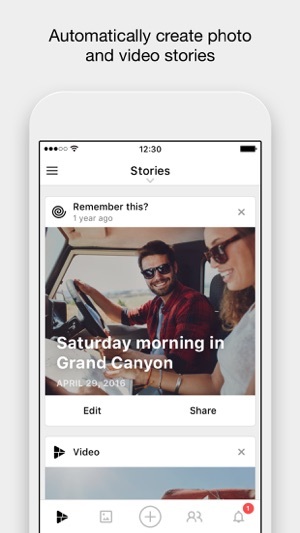 RealTimes® automatically finds the best photos and videos from your favorite moments and creates fun photo and video collages, we call them stories. We make it quick and easy to share your Story with your family and friends. 1. Realtimes automatically suggests videos and collages using the best photos and videos from your special events. 2. Customize your story, add or remove scenes, change the music and add stickers to make it your own. 3. Share with your friends and family directly or across all popular social networks. Let RealTimes do all the work, or add your own touch. Everything you need to make your own Stories. 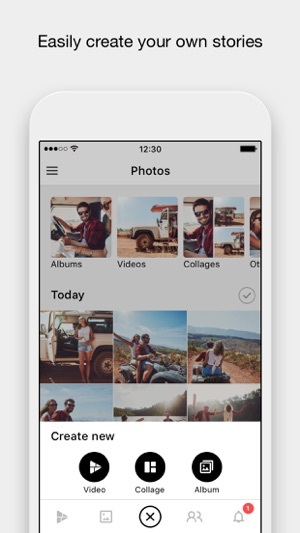 Full controls to select, arrange, and edit photos and video clips. Enhance photos, apply filters, change transitions, write captions, and choose your own soundtrack. 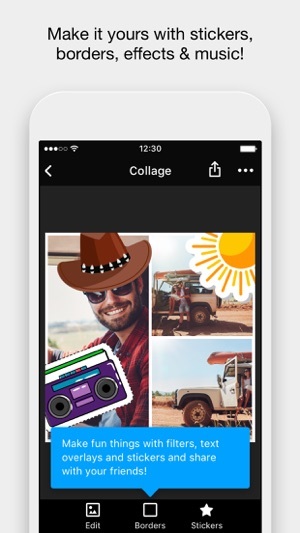 You can also create fun collages from your photos, either automatically or manually, and apply fun stickers. • Click once and RealTimes makes and plays your Story! 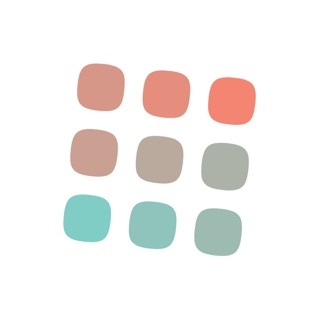 • Share Stories and collages with friends with just a few taps! • Share your Stories with anyone! • Create fun collages and embellish them with stickers! Make your memories even more beautiful with premium personalization options. - Subscriptions may be managed by the user. Auto-renewal may be turned off by going to the user’s iTunes Account Settings after purchase. - No cancellation of the current subscription is allowed during active subscription period. Any unused portion of a free trial period, if offered, will be forfeited when the user purchases a subscription to that publication. 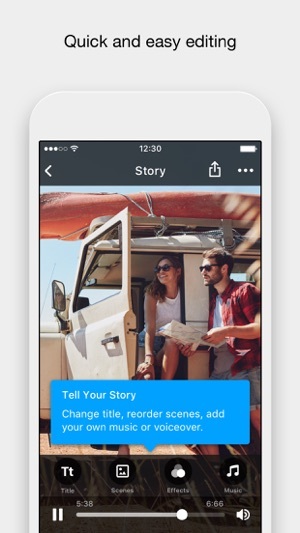 Download RealTimes now and watch your video Stories automatically come to life! Originally I wrote the review below about Realtimes but now I am constantly frustrated about it! It crashes constantly. Formerly, I could depend on it. I agree with another reviewer that the additions have ruined its functionality. Please take it back to being a nice basic picture and video saver. Please. I don't need all of your various & sundry departments such as 'collages, videos, etc.' Since that was added, it's funtionality is atrocious! Originally I thought it was fantastic! Please please fix it to work like it used to -- these days it closes itself up on me so much of the time. Take it back to its good old days! Realtimes is easy to use and to enjoy as you go. Glad to have a place to store & share pictures/videos." Like I dnt understand my cell and iPad has the same settings...no problem uploading and emailing video. 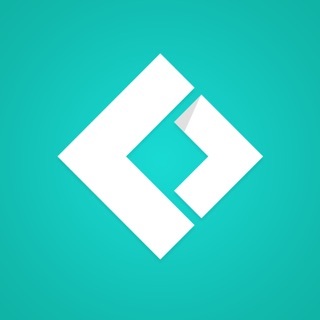 This App was much more useful when the user was given the power of how to sort media, such as by recent activity, file name, date created and date added. Now it does facial recognition, which I doubt need, but I can't sort media. And why do I *have* to have music if I want to make a "story"?